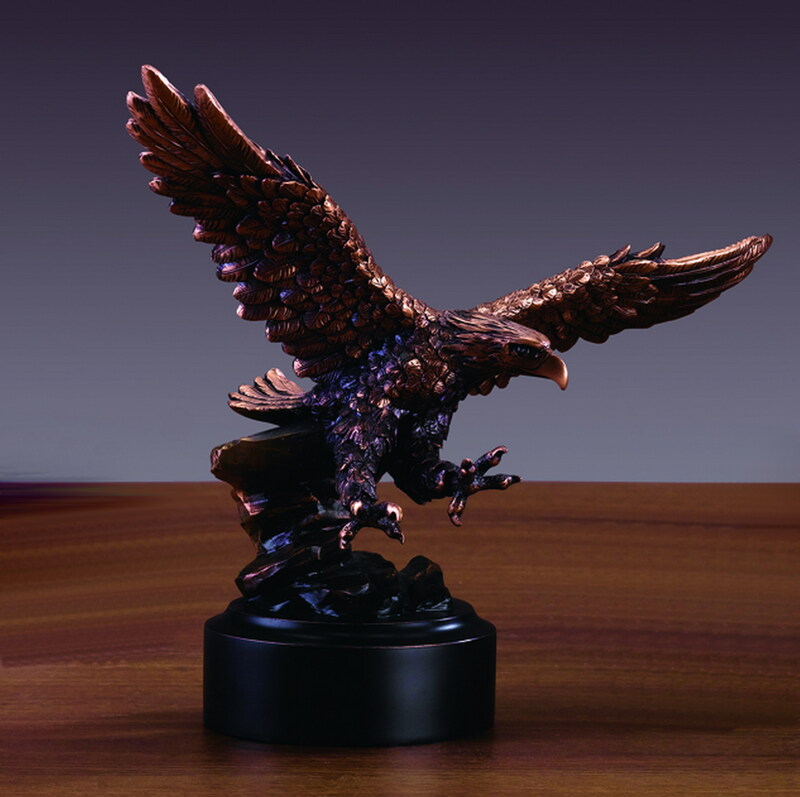 Bring elegance into your home or office with this stunning Eagle with Ope Claws Sculpture. Famous for quality, design and detail, each of these bronze electroplated resin sculptures represents the beauty of nature. Handcrafted with the finest detail, the intricate process makes this an exceptional piece of artwork with lasting durability. A magnificent treasure to enjoy for a lifetime!